At Robaire Company, Inc., we have been serving our residential and commercial customers in the Delaware Valley for over 30 years. As a full-service HVAC contractor company, AC repair, maintenance and installation are at the core of what we offer. Your AC system can fail completely, or you may have just noticed that it’s not cooling as well as it used to, which costs you money on your energy bill. Our technicians are already highly skilled, and they go through ongoing training to ensure they stay up to date on the latest air conditioning and other HVAC&R systems and components. We will perform an accurate analysis of whatever is wrong with your home AC system and then recommend only what is needed to get your family comfortable again. As proficient as we are at AC repair, maintenance and installation, we also excel in all other areas of HVAC servicing. The following represents a comprehensive list of what our professional technicians can handle for your home or business quickly, affordably and professionally. Heating Services – Our technicians are proficient in maintaining, repairing and installing many different heating systems to keep your family warm and safe in the winter. 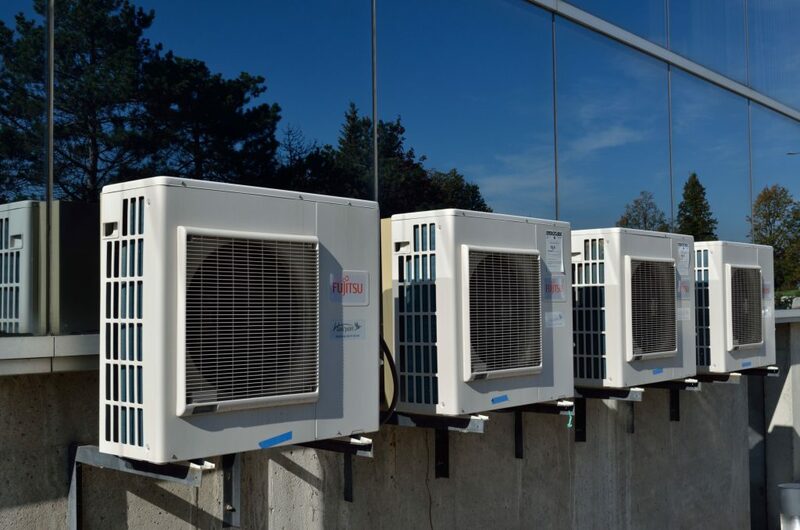 Air Conditioning – Whether you have central air or another type, we have decades of experience with all kinds of AC systems, and we’ll handle any problem quickly. Boiler Service – Whether it’s maintaining, repairing or replacing your boiler, no one has more experience than Robaire Company, Inc. at servicing this heating option. Commercial Refrigeration – We provide maintenance and timely repairs in the event of failure in your refrigeration because we know you can’t have your product stock spoil. At Robaire Company, Inc., we understand how unpleasant life can get when your AC fails. We have experience with central air, heat pumps, ductless air systems, high-velocity systems and others. We get to your home or place of business quickly, correctly analyze the problem and then give you an honest estimate that fixes the problem without selling you anything you don’t need. Founded in 1985, we have been providing HVAC contractor services to residential and commercial customers throughout the Delaware Valley. Our certified technicians are licensed and insured to do business in Pennsylvania, New Jersey and Delaware. We offer maintenance plans, so we can prevent issues before they become bigger problems and major expenses. We’re also here for you 24/7 because we realize that air conditioning and other HVAC system problems do not always occur at a convenient time. If you need the services of an experienced and professional HVAC contractor, please give us a call at Robaire Company, Inc. We will provide you with a level of service and satisfaction that will encourage you to become our next glowing customer testimonial on Google Reviews or on our website.